Every Friday night is family movie night in our home and during the month of October, we watch scary movies (my favorite kind of movie). We have young kids so the movies can't be too scary or graphic. Last week for example, we watched "The Sixth Sense" which the kids LOVED. Eyes were definitely covered during a few moments but overall, they enjoyed the movie. For the record I HATE cooking so this no-bake, no-cook recipe is right up my alley. Pour a bit of red food coloring on a plate. 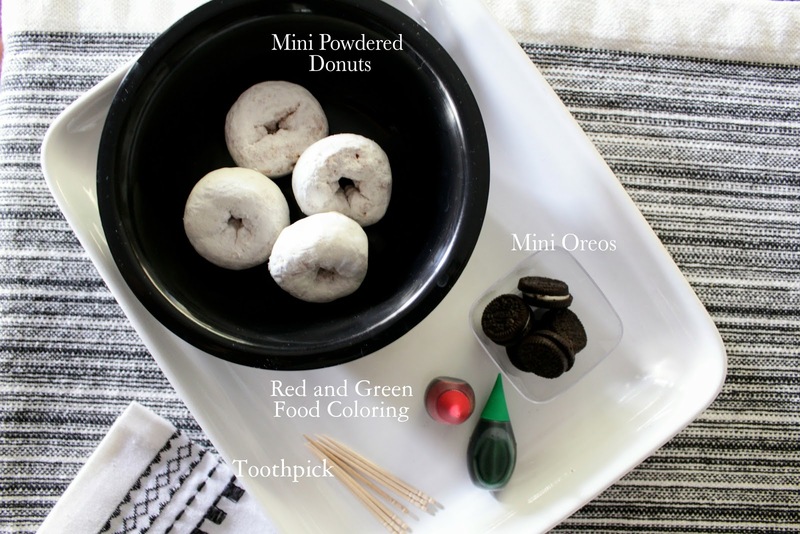 Dip your toothpick in the food coloring and press against your donut to create "veins". Take the cookies apart and peel off the frosting, Save the frosting in a small dipping bowl for later. Place one side of the cookie in the middle of each doughnut. Use a bit of frosting under each cookie to keep it from sliding off the donut. Add green food coloring to the frosting that came from the cookies. Mix well. Create little balls by rolling a small portion of the frosting in your hands. Place it in the middle of the cookie and flatten it down a bit. 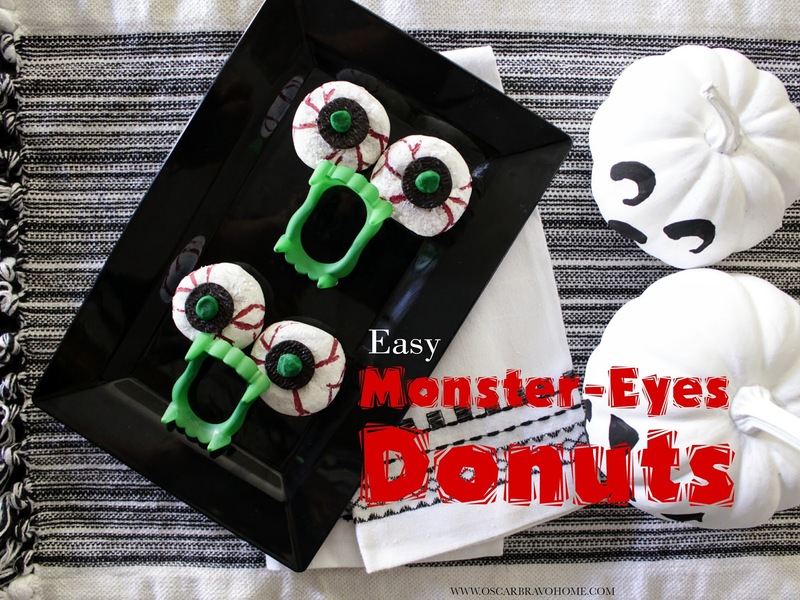 In just a few easy steps you have a fun and decorative Halloween snack. You can add fake vampire teeth for fun, but they look totally cool without. 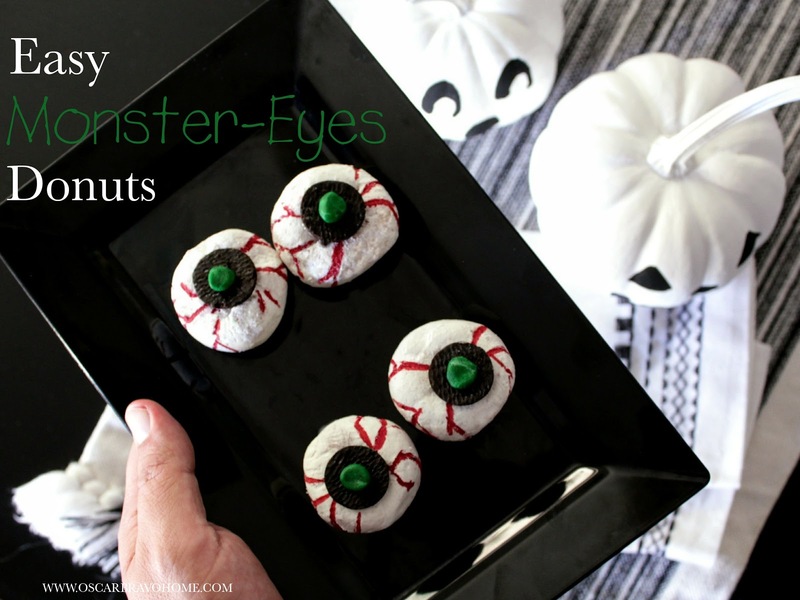 You can create a whole platter of eyeballs in no time or just make a small snack like I did here. Super easy! 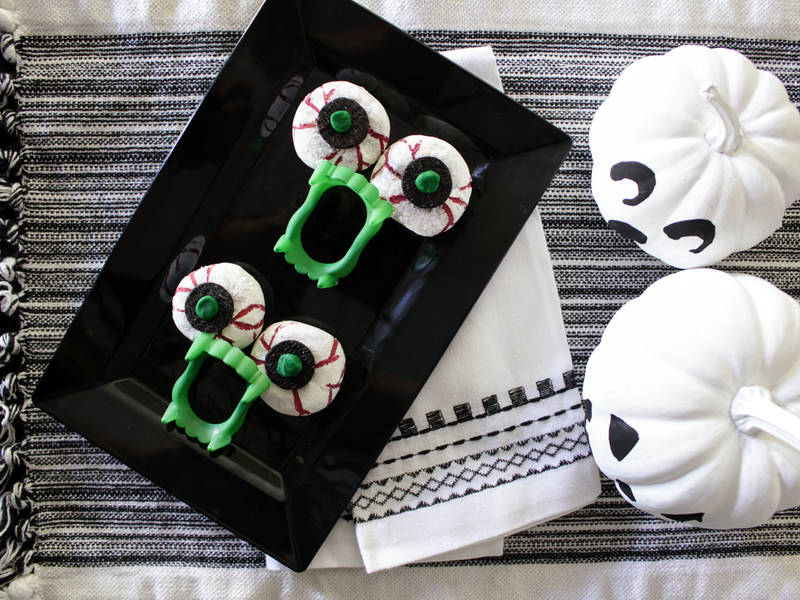 My sister will love this perfect Halloween dessert project and so easy too.